Los Cabos Airport; Between the top 5 executive airports. Los Cabos Airport, the start point of your adventure in Los Cabos. Welcome to Los Cabos Airport, we are glad you have decided to visit Cabo; it is an amazing, paradisiac, a peaceful city, filled with breathtaking landscapes. 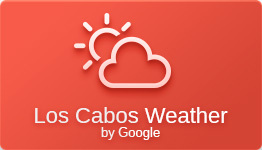 Los Cabo is settled in the south of Baja. There are so many things to do in this beautiful city. Have a wonderful time with your family or friends. The beach and desert will be waiting for you. We guarantee you are going to love it. Los Cabos is one of the most visited destinations by Hollywood Stars, singers, and celebrities. So, cross your fingers, you could probably meet one in your vacation. If it’s your first time in the city, maybe you want to check out our Travel Tips. We know you have decided to visit Cabo for its magical atmosphere, its beautiful beaches, landscapes, and that relaxing cozy feeling. So, we ask you cordially, please take care of the beaches, the city and all of its nature, during you stay in Cabo or any neighbor city. Help us keep Cabo beautiful. There so many places to visit during your stay in Los Cabos, that’s why we recommend you book your official Los Cabos Airport Transfers here. In LosCabos-Airport.com you are booking with an official transportation company. For your arrival or departure transfer, let us be your option, we assure you will have the best and most secure travel experience. Do you what to have a safe, comfortable, secure, stress-free Transfer from Los Cabos Airport to your hotel, house, office or any destination you need to get to?. You are in the right place; we are the best transportation company in Los Cabos Airport. Not only the best but also an official company regulated by Los Cabos Airport. If you book here your Los Cabos Airport Transportation and Los Cabos Airport Transfers you will receive the best prices online. It is against the law for anyone to approach to you and offer you any transportation service. Los Cabos Airport, the Mexican Transportation Authority, and the local Police work together to eliminate any illegal activity. YOU MUST have your transportation from the airport to your hotel ONLY with an official transportation company. You can make your reservation with an official Airport transportation supplier here.